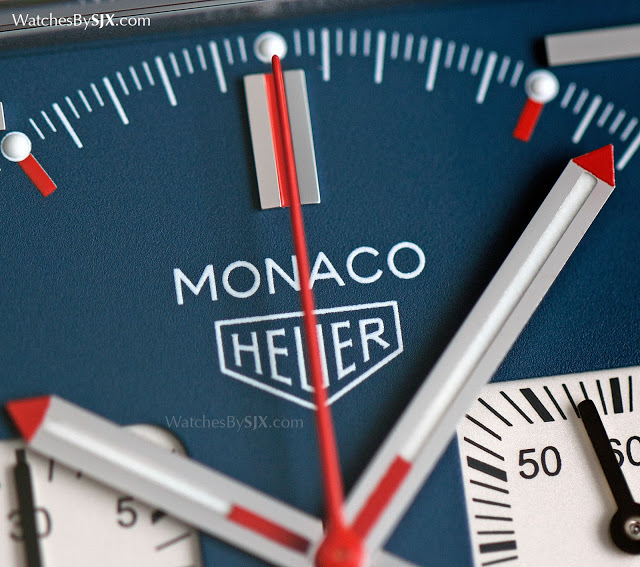 At Baselworld 2015 TAG Heuer introduced the Monaco Calibre 11 once again. 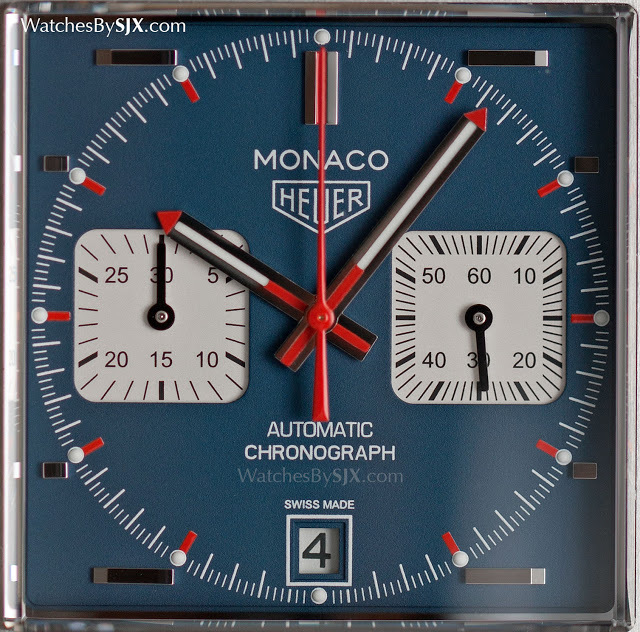 It's a remake of the vintage Monaco ref. 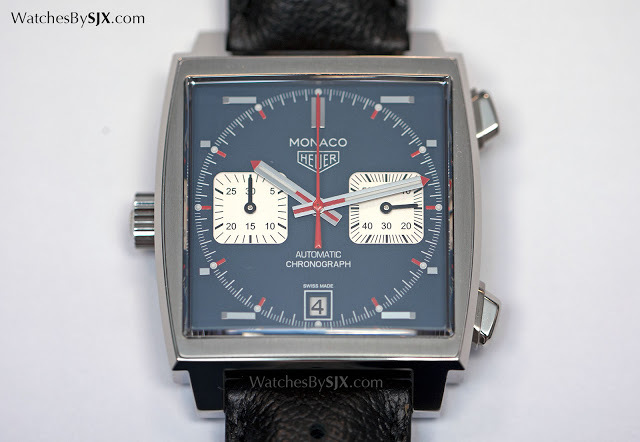 1133B "Steve McQueen" but priced a third less than the model it replaces. 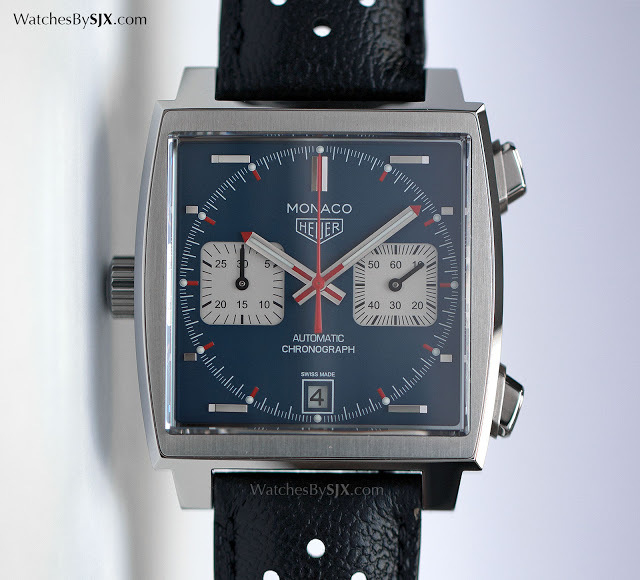 The most distinctive TAG Heuer wristwatch is arguably the Monaco, with its square form and block hands instantly recognisable as a timepiece from the seventies. And unlike many of its peers from that decade it has not lost its charm, especially since Steve McQueen wore the iconic blue dialled ref. 1133 in the film Le Mans. 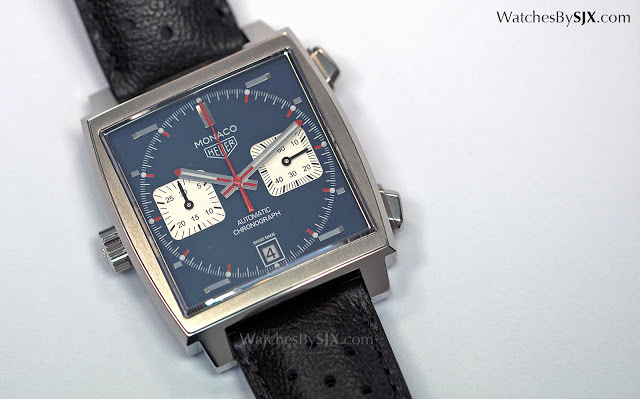 TAG Heuer has remade the ref. 1133B on several occasions, but at Baselworld 2015 it introduced the most affordable iteration of the Monaco Steve McQueen to date. Since Jean-Claude Biver took over the LVMH watch division which includes TAG Heuer he has pummelled the brand into accepting his vision: mainly more affordable, simpler and more fashionable. Watches styled by brand ambassadors like French DJ David Guetta and model Cara Delevingne fulfil the fashionable part of the vision, while timepieces like the new Monaco Calibre 11 appeal to traditionalists while being aggressively cheaper than before. The new Monaco Calibre 11 is similar to previous re-editions of the Monaco but is a new model, with a new model reference ref. XCAW211P. 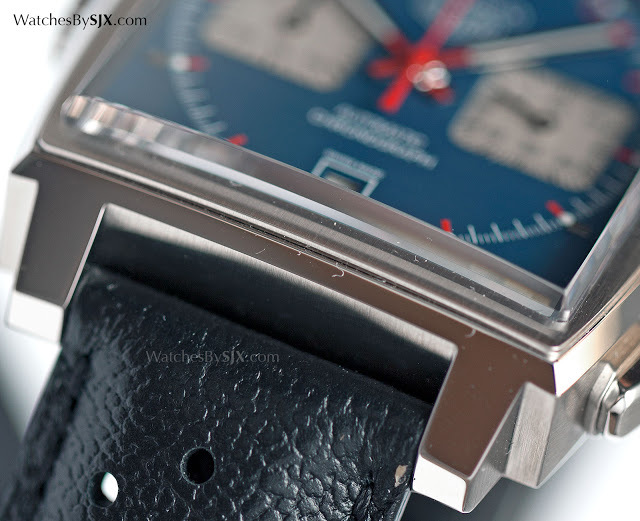 It has a matte blue-grey dial with a grained surface, just like the most common version of the vintage ref. 1133B (there were several including one in a brighter blue). Horizontal baton markers and red tipped hands are also taken from the original design. 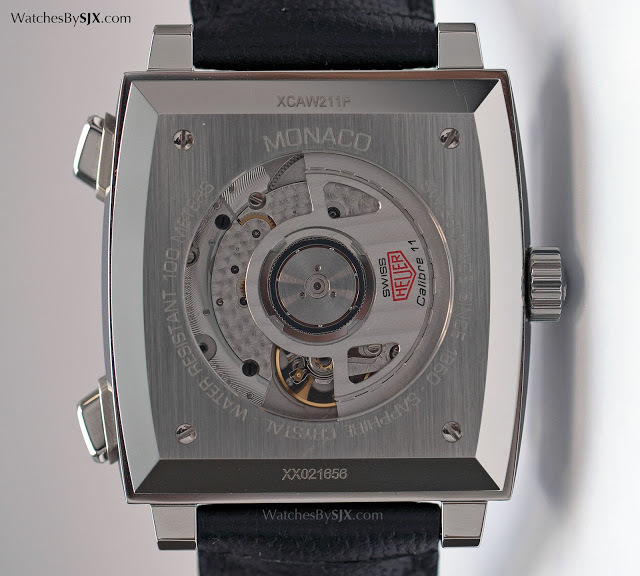 Though not identical to the original, the Monaco Calibre 11 is convincing enough. 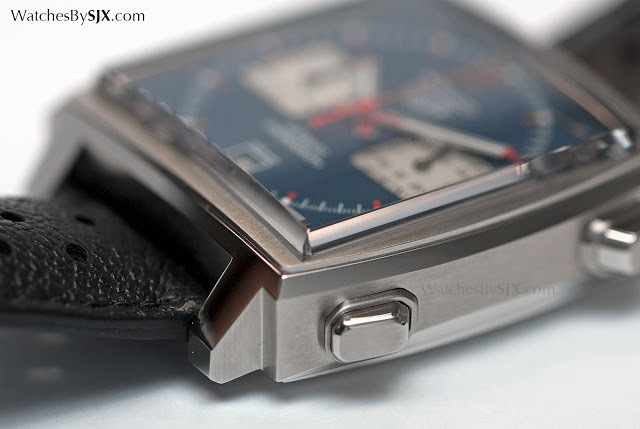 The case measures 39mm by 39mm, with a large, square sapphire crystal with subtly bevelled corners. The crystal is well made and likely one of the most expensive components of the watch, as is often the case with watches in this price segment with fancy crystals. 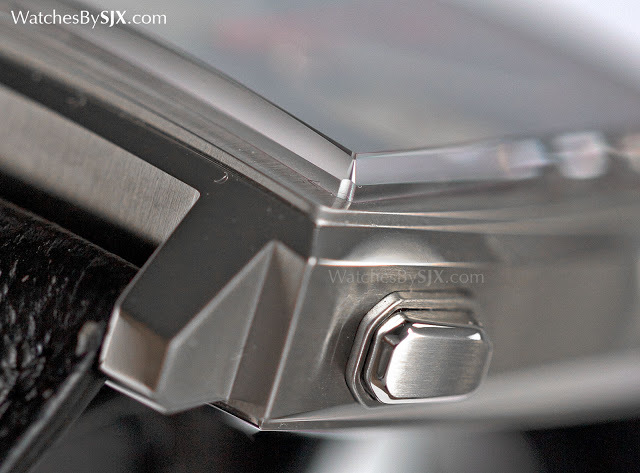 With the crown on the left to mimic the layout of the Breitling-Heuer-Buren Chromatic movement found in the original 1133B, the movement is a Sellita SW300. 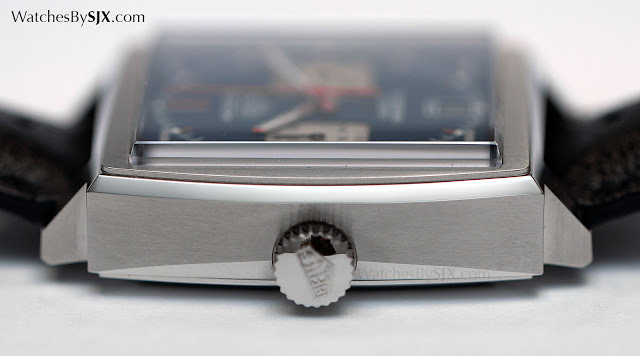 It’s an automatic movement identical to the ETA 2892, with a chronograph module from Dubois-Depraz. The Monaco Calibre 11 is fitted on a perforated black calfskin strap with a pebbled texture that resembles the Corfam faux leather rally straps found on the vintage Monacos. 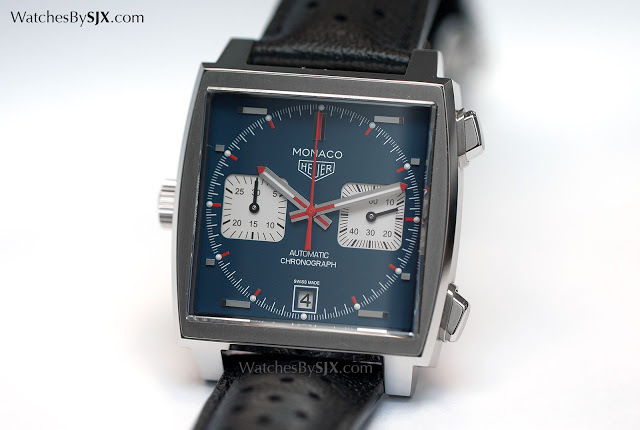 Importantly, the TAG Heuer Monaco Calibre 11 (ref. XCAW211P) retails for US$5550, €4995, ¥580,000 and S$7650, with delivery starting in October 2015. The retail price of similar calibre 11-equipped Monaco watches pre-Biver was a whopping US$8100 – that’s 50% more than the current retail price. 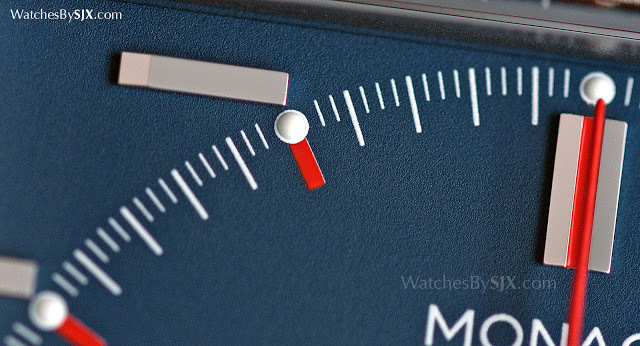 One consequence of the lower pricing of the new Monaco is downward pressure on the value of vintage Monaco chronographs, which have reached lofty heights (of about US$10,000) in recent years but have recently started to show weakness.